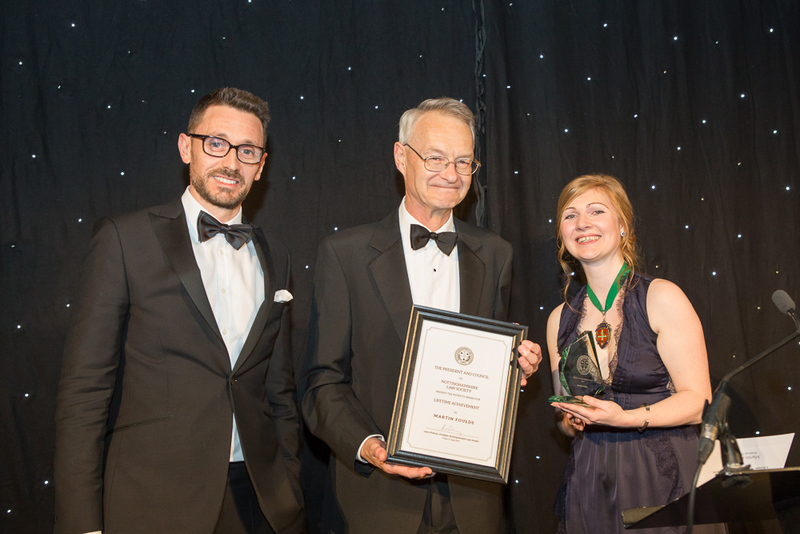 Martin Foulds, who retired in February after 43 years at Rothera Sharp, received the accolade for his outstanding contribution to the firm including setting up and running a branch office, establishing relationships with local businesses and mentoring colleagues in their career development. After initially joining the firm in 1976 when it was known as Wadsworth, Dowson and Sellers, Martin qualified in 1979 and began working as a conveyancing solicitor. He was invited to open the firm’s Mapperley office in 1982, becoming a partner just 18 months later as a result of the success of the office. During his time at the firm he saw both its merger with Rotheras to become Rothera Dowson in 1999 and its subsequent amalgamation with Sharp Young and Pearce in 2016 to form Rothera Sharp. In a career spanning over four decades Martin has been instructed on approximately 9000 conveyancing matters and became well recognised in the local area for his expertise.